What’s So Great About Feathers? What’s The Difference Between Down And Feathers? What Kinds Of Feathers Are Available? What Are The Benefits Of Feather Pillows? Unpopular opinion: ultra-soft, ultra-moldable pillows are better than ones with a ton of contouring and support. Does that sound like you? Maybe you want to layer your pillows, or perhaps you’re a true stomach sleeper who needs a flatter pillow. Maybe your grandmother is spending the night in your apartment. Whatever the reason, you’ve settled on a feather pillow. Feather pillows are tricky and getting harder to find, but that doesn’t mean yours isn’t out there. We’ve answered some questions you may have about how to choose one and put together a list of our five favorite feather pillows. Let’s take a look. They’re usually easy to care for, and many are machine washable on the gentle cycle. They’re highly durable and often reasonably priced. Feathers are good insulators but still highly breathable. They’ll keep warmth close to your head when things are cold, but conduct air flow to wick away heat and moisture when it’s warm out. Down is the soft fiber underneath feathers that offers the bird insulation and protection from moisture. You can’t often see down, but it’s right there close to the bird’s body. Down provides contouring when it’s in a pillow, while feathers provide softness. Many pillows are a combination of both down and feathers, so choosing one means checking to see the percentage of each used. If your down percentage is too high, you won’t get the feather feeling. Feathers usually come from waterfowl including duck and goose. They offer strength and insulation for your pillow fillings. Manufacturers choose smaller feathers to fill the case to prevent quills from poking you through cover materials. The higher your fine feather count, the softer your pillow will be without losing shape. Duck feathers are cheaper typically, but they aren’t considered to be as good of quality. Duck filling isn’t exactly white, which may bother you if you use a thin pillowcase, but some manufacturers use a bleaching process to remove some of the color. Goose feathers are usually higher quality, but they’re more expensive. The types of feathers taken from geese are white in appearance which can prevent color bleed through. That said, a high-quality duck feather pillow will be better than a mediocre goose pillow. Many pillows use a combination of both. Higher quality goose feathers give the pillow shape and softness while duck feathers help reduce cost. Keep these things in mind as you make your decision about the feather pillow. Generally, stomach sleepers get the most from feather pillows. They’re soft and very moldable and often don’t have much loft that can get in the way of keeping the spine aligned. Side and back sleepers may have a harder time getting the type of support they need from a pillow. One solution for back or side sleepers may be to layer a feather pillow over another pillow. This still means choosing a pillow that lays flatter on top of your other pillow. You get the soft feeling of feathers while retaining the support of the pillow underneath. All feather pillows contain some measure of down, but anything more than 70% down is considered just a down pillow. The higher the feather count, the more of that feather feeling you’ll get. Down is very soft, but it doesn’t have quite the same softness as feathers. Too much down, and you get a pillow that’s moldable but a little firmer on average. If the fill count is really high, this is especially true. Cover materials are critical here. Regular polyfill or memory foam shreds can’t get through most cover materials, but feathers and down can. You don’t want something poking you in the middle of the night, and you don’t want to wake up to feathers every morning. Higher thread counts have tighter weaves, so feathers and down are less likely to escape through micro holes in the weave. Higher thread counts are softer anyway, and more comfortable. If you’re concerned about animal cruelty, you should know that there are certifications to help you choose pillows that are made without using any unnecessary animal cruelty. These certifications audit the entire process from start to finish to ensure that the animal has lived a proper life free of cruelty and that there’s no live plucking involved. You could also consider feather and down alternatives. These materials are very common now, and you should be able to find something that suits your needs. Otherwise, look for those certifications and rest easy. Feather pillows are lightweight, first of all. Feathers, of course, weigh practically nothing, so flipping your pillow around to mold it to your head won’t require bodybuilding strength like some other pillow materials. Feathers are very breathable and tend to regulate temperature exceptionally well. THere’s no need for fancy gels or other types of artificial cooling materials. Instead, the space between feathers is high and allows air to pass right through. Feathers are moldable, so if you’re obsessed with the perfect tuck underneath your shoulder, you’ll get it. And it won’t move once you put it into place unlike other types of pillows. It stays put without slowly migrating back to its original shape. Feathers are one of the most durable materials out there. You’re far more likely to lose your pillow because of faulty cover materials than you are because the feathers break down. Some polyfill pillows only last a few months by comparison. Finally, feather pillows are typically very affordable even if you get premium feathers and cover materials. Some pillow materials can be highly expensive, and many down filled pillows are. Feathers, by comparison, are an excellent bargain. Again, if you sleep in any other position than on your stomach, you may have a more difficult time finding a feather pillow that feels right. They just don’t offer the same support that other materials do. Layering a feather pillow on top of another type might be your best option here. Feather pillows sometimes have a distinct smell, especially if they use lower quality duck feathers. Even higher quality pillows may need some airing out before use (though feathers are breathable and it shouldn’t take long). Some feather pillows make a distinct rustling sound as feathers rub together. That may not bother you as much, but you should be aware that feathers do make slightly more noise than other types of pillows. One of the biggest appeals of feather pillows may be a downside if you aren’t the right type of sleeper. If you don’t enjoy molding and shaping your pillow, you could be disappointed in the level of response from feather pillows. They just aren’t going to bounce back as you move around in the night. Feather pillows can also trigger allergic reactions in respiratory allergy sufferers. Look for hypoallergenic options, but overall, they aren’t recommended. And now our list of downright awesome feather pillows. Wenersi uses 95% goose micro-feathers and 5% down to create an ultra soft pillow with some loft and support. We know we said these pillows weren’t meant for other sleep positions, but this one was designed for back and side sleepers. It’s available in soft for stomach sleepers and firm for everyone else. It’s exceptionally pliable with reinforced piped seaming. It has instant response to pressure and could also be used a knee support pillow in a pinch. It has proper feather distribution and requires a little fluffing as you go through the night. It will flatten eventually, even the firm, so be aware that you’ll still be maintaining the shape all night. It makes a slight crackling sound until the material is broken in, but that does go away eventually. The manufacturer offers a 30-day money back guarantee, so if it’s not the right pillow for you, you’ve got options. This option features 95% goose feathers and 5% goose down for a soft yet slightly supportive pillow. It’s moldable and keeps the shape you put it in. It’s breathable and helps regulate temperature throughout the night. It’s suitable for several sleep positions, but we think that it’s best for stomach sleepers or to layer. 100% cotton cover materials keep the feathers in place, so you don’t wake up to a disaster. It has good feather distribution and comes vacuum sealed. Once you tumble it in the dryer on the no-heat setting, the feathers redistribute, and your pillow is ready to go. They’re naturally dust mite resistant and hypoallergenic, but you’ll still want to pay close attention if you suffer allergies. 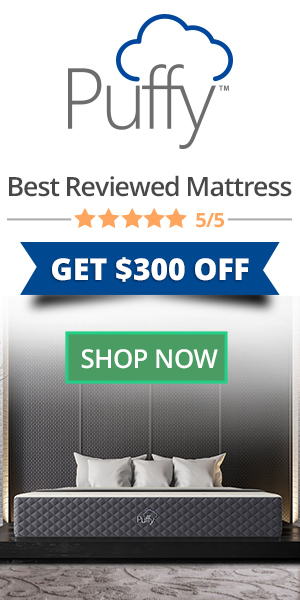 You have a 90 day trial period and a three-year warranty so you’re covered if there’s something you don’t like about the pillow or if the seams begin to show wear and tear. If you suffer from respiratory allergies, here’s an attractive option to keep that reaction at bay. The Three Geese pillow features an inner layer of 100% feathers surrounded by outer chambers of high-quality microfiber. You get the feeling of feathers without having them so close to your nose and mouth as you sleep. The cover is 100% cotton, and OEKO-TEX certified free of harmful chemicals and off-gassing. The 600 thread count shell keeps everything in place and feels really smooth and soft. The loft is perfect for stomach and back sleepers who don’t want a lot of loft but still need some support. Stitched, corded edges prevent seam wear and tear. The company offers a 30-night money back guarantee so if the pillow doesn’t feel right to you after a few nights, you can return it. Sometimes, no matter what you do, you get a stray feather sticking you in the face. Puredown’s pillow uses two different layers to prevent that from happening. First, the interior. It uses 85% Siberian Goose feather and 15% goose down for a soft, yet slightly supportive interior. The cover materials are 100% Egyptian cotton, a soft, cuddly material. The next layer is a polyester inner layer that helps keep feathers inside the pillow and prevent any pricks as you move around. You can’t wash the pillow, but you can remove the cover to machine wash it and keep it free of surface allergens. It comes vacuum packed, so you’ll need to tumble it in the dryer without heat to get everything fluffed back up. It may have a slight odor from packaging and from the feathers themselves. Be sure to let it air out if that’s the case. Check with the seller for specific warranty and return information. The Downluxe comes in a set of two and uses a reinforced edge with tight weave jacquard cover materials to keep feathers in place. It uses 90% goose feathers and 10% goose down to achieve a soft, slightly supportive pillow. It’s considered a hotel quality pillow, and molds suitably for back and stomach sleepers. Side sleepers will want to consider shoulder width or may want to layer the pillows. It offers good head and neck support while still molding well. The 300 thread count material keeps feather together, and seams are double stitched and piped. You can machine wash the pillows in a pinch, but it’s better to have them dry cleaned to extend their life. It comes with a 30-day money back guarantee, but you should also check with your seller about warranty information. Feathers may not be super trendy right now, but they can offer a lot of benefits for stomach sleepers who have trouble finding a soft, flatter pillow. As long as you find ones with good cover materials and you don’t mind molding your pillow to fit into your neck, you should be able to enjoy a feather pillow for years. If you’re allergic, blends of feathers and other types of materials like our allergy-friendly pick above can offer you the feeling you love about a down pillow without making you feel like scratching your nose from your face. Other options are hypoallergenic feather options, but we can’t guarantee you won’t still have a reaction. Your grandmother will be pleased. If it’s you, we think you’ll love your new feather pillow and might never go back to anything else.